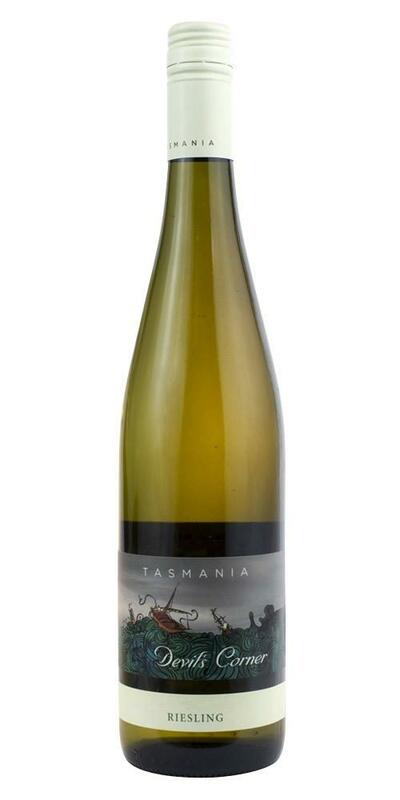 Fresh, lean, dry Riesling with delicate floral aromas and flavours of lime, tropical fruit and hints of minerality. The wine makes an excellent aperitif as it's light and crisp (12%) but also suits fish dishes and first courses. Made by Tamar Ridge, situated on the north-eastern side of Tasmania east of Launcaston , the Devil's Corner wines are a great introduction to their wines. The northern side of Tasmania benefits from ideal conditions for grape growing. It is cool climate, situated at 42 degrees latitude like Marlborough, New Zealand, sheltered from the cool winds from the Antarctic, so good for fruit ripening. The climate and soil on this northern side of Tasmania are suitable for the cultivation of the Alsace varietals e.g. Pinot Blanc, Pinot Gris, Gewurztraminer and Rieslng, but they also grow SauvignonBlanc, Chardonnay and on the warmer soils Pinot Noir.